This year, we made over 400 pounds of sausage, including Italian, German, breakfast, and chorizo. Here is the original story about our sausage making adventures. This was written a few years ago, but the process is still the same. We boned and sliced the pork yesterday (Saturday). We have a total of about 260 pounds of pork ready to grind, flavor, mix, and encase. It is a day I look forward to every year. This will be my first while actually living here in the great San Joaquin Valley. Most of you know by now that I have an annual sausage making party with my brother, Bob, and a friend of his in the Fresno-Sanger area, Doug. We make anywhere from 180 to 200 pounds of homemade Italian style sausage. Doug has a sixty by sixty foot industrial strength kitchen behind his home, in a large shed. He can also seat about 100 people in front of a big screen for parties and Super Bowls. He has all of the latest, industrial strength equipment to make all kinds of food, including our sausage. He is well known in the area for his food preparation, cooking, baking, and Armenian specialties. He even sold some of his specialty foods to the mother of famous attorney, Bobby Kardashian, before he passed on. The traditional definition of sausage is food made from ground meat, in our case pork, with spices, salt, and herbs, in a natural animal casing. Our sausage will not be smoked, cured, dried, or otherwise adulterated. In 589 BC, the Chinese were the first to make sausage, consisting of goat and lamb. Homer mentioned blood sausage in the Odyssey. The most famous sausage was from Italy, of course. The variety, called lucanica still exists in a variety of modern sausage from the Mediterranean. Sausage casings are traditionally made with cleaned animal intestines. Today, most natural casings have been replaced by collagen, cellulose, or plastic casings. We use the real thing! Some meats are prepared without casing, such as lunch meats, or meats in cans or jars. The most basic sausage consists of meat cut into pieces or ground. We use pork, and limit our fat content to about ten to fifteen per cent. We do not use any filler. But Doug has a fantastic method of flavoring (secret recipe) the meat with herbs, spices, and just the right amount of water. Every country seems to have their own version of sausage. Most are classified by the region of their origin. So, since we make this sausage in Fresno, San Joaquin Valley, we need to come up with a good name. Any ideas are welcome. Of course, the laws in each country dictate the contents, methods, and preservation techniques allowed. Traditional Italian sausage is made from pork, along with fennel seeds, chili in the South, and black pepper and parsley in the North. Only Doug knows the exact formula, as he mixes the spices and herbs, like a mad scientist, before we get there. Last year’s spice formulation was a little “hotter” than years past. We are not governed by any laws, but nobody has ever gotten ill from our sausage. Ours is a labor of love, and a fun way to spend the day with my brother. It takes the better part of half a day, with an early morning start. We begin by boning the pork and cutting it into one to two inch chunks or strips (yesterday). Next, we place it in his huge meat grinder. Then the mixer where we add the spices. From here, we thread the casing machine and use the auto filler to place the meat inside of the casing. As it comes off of the feeder, Doug or my brother wind it into spirals. After this is done, we place a “roll” of sausage into plastic vacuum sealed packages, ready for freezing. We also make about four to six dozen one pound patties, for use in sauces and chili, or just plain breakfast sausage and sandwiches. About mid way through the process, we cook a batch of sausages, along with onions and peppers. Then we steam the rolls on top of this mixture. We must “test” the goods before too much of the day is gone. We have also made their beans and sausage, Mexican style, in years past, as a prelude or warm up act to Saturday’s sausage making party. And maybe a beer or three. Without bragging, ours is the best I have ever tasted. Doug actually sells limited amounts to Fresno area restaurants and caterers. I generally do not eat a large amount of Italian style sausage. I enjoy giving some away to dear friends. But I know that ours is made with good fresh ingredients, handled properly, and made with great care. Many of you have tasted this sausage in the past. And hopefully, many of you will taste it in the future. It is the best, Gerry, the best!!!!! Usually, I am not a big fan of buying expensive and bulky objects on my trips, whether foreign or domestic. I have “collected” some of the more obvious souvenirs over the years, patches, match books, postcards, T shirts, and wine. But most of you know I tend to keep it simple these days, with the lowly, fairly inexpensive, but always unique refrigerator magnet. I must have several hundred, but really have no place to display them. When I was working, I covered the sides of my file cabinets in my office. Now, a few more recent additions are displayed on a small refrigerator in our garage. But even now, there are some souvenirs that are worthy of venturing out from the “fridge” magnet mentality. What might some of these items be? Here are a few, many of which I have not personally purchased, others I would never admit to, and some that are just totally embarrassing. Moscow or St. Petersburg, Russia The ubiquitous matrushka dolls can be found in every store, street corner, and dumpster throughout Russia. Yes, I thought Sheri might enjoy them. Hoi An, Vietnam Lacquered art objects, like candy dishes are uniquely part of the culture. I did buy one, but who knows where it might be now? Warsaw, Poland My travel buddy, Mike was in search of a “black Madonna” whatever that might be. Yes, we found it at a church supply store in Warsaw. Would you EVER think I would walk into a church supply store anywhere in the world? Queenstown, New Zealand I definitely broke the rules here by buying one of their famous wool sweaters. What made it so unique was the wool was mixed with possum!!! It remains one of the warmest sweaters I have ever owned. Luang Prabang, Laos Every tourist must try their national hooch, aka “lao lao”. It is bright red, tastes like jet fuel, and burns all the way down. I would let you taste it, but I put it in my gas tank instead!! Argentina Since I could not bring home the fabulous steaks, or much of the Malbecs, I settled for a small wood sculptured landscape in Patagonia, purchased in Ushuaia, the southernmost city in the world. I still have it, miraculously. Oh, I remember I also purchased a nice leather belt in Mendoza or Buenos Aires. Hawaii Our best souvenir is a clock made of Hawaiian koa wood, with Japanese characters for the numbers. A photo is attached (above), it works great, uses batteries. Budapest, Hungary Mike and I bought some of their famous tokaji wine, but I do not know where I put it. Did I give it to you? Cape Town, South Africa I bought a bottle of their famous pinotage, the one that has the aroma of coffee!!! We drank it, of course! Hanoi, Vietnam I bought a beautiful silk tie. When I got home, I went directly to Nordstrom to find a dress shirt to go with it. Quite a nice combination, but now I have nowhere to wear it. Scotland I bought dozens of logo golf balls, all of which I have away to my buddy, Paul. I may have kept one from St. Andrews, but have no idea where I put it. I do have some golf shirts and windbreakers from St. Andrews, however. Peru Rather than bring back something from the Amazon, I bought a cashmere scarf that I have never worn. It is quite nice, maybe I will give it away. Otavalo (Colombia) I bought more wool scarves, maybe Sheri still has one. I think I gave the rest away. Also, Colombia is the major supplies of the world’s chocolate, so we bought a bunch of chocolate bars. And no, they did not melt in our bags. Bangkok, Thailand On our first trip there, we had suits and outfits tailored for us. We still visit the same tailor, though now it is mostly for blouses for Sheri. I do not need any more suits!! But pictured above is one of the three or four suits I have left, and Sheri’s beautiful outfit. Inle Lake, Myanmar Of all things, I bought some Burmese cigarettes and cigars. I figured my friends who still smoke would get a pick out of them. I even tried one while visiting the factory there. It reminded me of those candy cigarettes we had when we were kids. I still have a small bottle opener I bought there. Oh, and I did buy some real Cuban cigars for friends back home. Champagne, France Besides buying and drinking magnums of champagne, I brought home an ice bucket, champagne cookies, and several souvenir wine stoppers from the famous champagne houses in Epernay and Reims. Dublin, Ireland No Guinness, but I did find a nice soccer shirt that I can use as a cycling jersey. But it is red, and you know how I feel about red. Amsterdam I bought some cute little van Gogh postcards of his “Japanese” period of his artistic life. But the real treasure was some smoked gouda from a farm we cycled to out in the country, and a cycling jersey from the tour operator. Wimbledon (London) Yes, I bought a T shirt, and a polo shirt, at the All England Club But the real treasure was discovering “wine gummies” at Harrods. Berlin I refused to buy a piece of the old Berlin Wall. It should remain there as a reminder of a terrible period in our lives. But I did find more wine gummies at KaDeWe (Kaufhaus des Westens), my favorite department store in the entire world. Siem Reap, Cambodia A place where there was not too much to buy back then, other than T shirts, and some low quality local crafts. We opted for T shirts. Sydney, Australia We bought a boomerang, but it never came back! Tanzania I bought a beautiful red scarf for Sheri with animals pictured on it. It gave her a rash on her neck. We had to wash it, and now, it is just fine, perhaps a little weathered. You see the pattern here, right? Small, light, easy to carry objects, none of which attract attention from customs agents. HINT: Never wait until the airport and the Duty Free Shops to buy this stuff!!! Never. There was a time when I brought back little trinkets for my staff at Kaiser. But as the staff and my responsibilities grew, I finally had to stop doing this. They really looked forward to my return, if only for the gifts! Many times, the best memories are the photos I did not take. Yes, read that again. The photos I did not take. The images are locked in my memory. And I have written about many of the places I have been as well. Who needs “stuff” when I have the real thing? Locally owned and independently run since 1932, Harvard Bookstore (harvard.com) has become known as a Harvard Square landmark. Stocked with an extraordinarily diverse selection of new, used, and remaindered books, you’re guaranteed to find something of interest here. Don’t miss the beloved used book basement, where the walls are plastered with old newspaper clippings, book covers, and bookmarks, most of which were found by the staff in the previously read books. The store hosts an award-winning author series with more than 300 author events a year, and a Signed First Editions Club. For writers interested in self-publishing, they also have a print-on-demand machine on site that can print books in the store at an affordable price. I was just at the Harvard bookstore last July. I was particularly interested in the print-on demand machine, but it was broken. Perhaps an omen? The store also has great clothing, school supplies, periodicals, and items of general curiosity. Founded in 1953 by poet Lawrence Ferlinghetti and Peter D. Martin, City Lights is one of the few truly great independent bookstores in the United States, a place where booklovers from across the country and around the world come to browse, read, and just soak in the ambiance of alternative culture’s only “Literary Landmark.” Although it has been more than fifty years since tour buses with passengers eager to sight “beatniks” began pulling up in front of City Lights, the Beats’ legacy of anti-authoritarian politics and insurgent thinking continues to be a strong influence in the store, most evident in the selection of titles. The nation’s first all-paperback bookstore, City Lights has expanded several times over the years; we now offer three floors of both new-release hardcovers and quality paperbacks from all of the major publishing houses, along with an impressive range of titles from smaller, harder-to-find, specialty publishers. The store features an extensive and in-depth selection of poetry, fiction, translations, politics, history, philosophy, music, spirituality, and more, with a staff whose special book interests in many fields contribute to the hand-picked quality of what you see on the shelves. I am not sure if I love the history more than the books themselves. One other great feature: the store is close to many great places to eat, nearby Chinatown, and North Beach. You can choose, Chinese food or Italian. Perhaps the best place to spend a rainy day is the famous bookstore in Portland, Powell’s. Powell’s Books is an independent bookseller serving Portland, Oregon, since 1971. We’ve grown to employ over 530 people across five Portland-area stores and Powells.com, and our book inventory exceeds two million volumes. In spite of our substantial size and reach, we remain grounded by our company’s core values, which have guided us through the ups and downs of the bookselling industry. Each and every employee’s love of books drives us forward. We have an especially intimate relationship with Portland — what other city in America can name a bookstore as its top attraction? We host over 500 author events a year, in addition to children’s story times, writing workshops, game demonstrations, and book clubs. Through Powells.com and our expansive online community, we also reach readers around the world, people who are as excited about books as we are. Powell’s claims to be the world’s largest independent bookstore. I can hardly argue with that statement. But the thing I like best about Powell’s?? They place both used AND new books on the SAME shelf!!!! Yes, a used one might reside next to a new one. Who does that? Only Powell’s!!!!! Another favorite: The Last Bookstore is California’s largest used and new book and record store. Currently in our third incarnation, we began in a downtown loft in Los Angeles in 2005. That’s when owner Josh Spencer took his decade of experience selling everything from cars to clothes online and focused instead on his first love: books. During the revitalization of downtown LA, we grew quickly to our current 22,000 sq. ft. space in the Spring Arts Tower at 5th & Spring. The name was chosen with irony, but seems more appropriate with each passing day as physical bookstores die out like dinosaurs from the meteoric impact of Amazon and e-books. We continue to BUY, SELL, and TRADE like we have from day one. In addition to over 250,000 NEW and USED books on two floors, including our new Arts & Rare Book Annex, our shared space includes tens of thousands of VINYL RECORDS and GRAPHIC NOVELS, a huge mezzanine level that includes the Labyrinth Above the Last Bookstore, Gather Yarn Shop, and the Spring Arts Collective gallery shops. Truly something for everyone. Somehow we became one of the largest independent bookstores in the world still standing. We continue to be amazed at how we got here. It’s ALL thanks to people like you who want to keep actual books and records existing in the world. Join the cause — visit us soon! My only problem with the place is it has a rather confusing layout. It is also very dark and musty, like an old bookstore should be! You may find a hidden gem here as well. So, there are places better than Amazon to find books. These are just four. And they are definitely more fun than shopping on the Amazon website!!! Rock must mean rock music, but chalk? Most of us have not seen or touched chalk since junior high. But put them together for Bigfork’s annual Chalk ‘n Rock Festival on the streets of Bigfork, Saturday and Sunday. This is a performance art event consisting of chalk art drawn on the streets (one mainly, about two blocks long) of Bigfork. In the background or foreground, depending on where you are standing or sitting, some good old Montana rock music will be performed alongside. Saturday, the art projects will be in full swing, and Sunday will be the final results and judging. The main street in Bigfork is appropriately called Electric Avenue. This festival is consistent with Bigfork’s reputation as the friendliest and most artistic small town west of the Rockies. Even kids will be given a small square to fill!!! I would say to my untrained eye, quite good. So, after my Huckleberry 100 Bike Race yesterday, I will head over to Bigfork for the Chalk ‘n Rock. I will probably miss the most interesting sounding group, “The Bad Larrys”. But I have all day Sunday to enjoy both the chalk and the rock! Would you believe the Italians actually have a name for these artists, Madonnari. With three dozen Madonnari, and two block long Electric Avenue, there will not be much room for anything else. There are three artist categories, professional, amateur, and student. But it should be quite a spectacle. We also look forward to seeing Paulette at the Pocketstone Cafe in downtown Bigfork. You recall she is a lady that was in West Berlin when I was there in 1971. I walked over to East Berlin through Checkpoint Charlie. It should be a wonderful weekend in one of our favorite places in the world. We are slowly moving from fall to winter here. I had to turn the heater on here at the fabulous Candlewycke Inn. Fall colors are almost here, with lots of golden yellows, slowly moving to red and orange. The air is definitely cooler, and getting thicker with the smell of fireplaces and wood stoves burning wood. Perhaps, it is time for some winter clothes. Our last day here in Montana will be very relaxing. I may have over done it yesterday in my big race. But there is so much to see and do! More folks bike to work here than in any other city in the U.S. Seattle was the first city to put cops on bikes, too. Just think, if you had a Lesbian cop, she would be a dike on a bike, or trike. With the city emphasizing riding bicycles, they are asking people to be roll models. But they put their money where it should. The Seattle DOT spent $36 million for bicycle improvements guided by the Seattle Master Bicycle Plan. Do we even have one here in the Bay Area or San Francisco. The best bicycle town I have ever seen is Davis, CA. The worst is Hanoi, where bicycles and motorbikes take over the roads in a free for all. Puget Sound Bike Share is running the area’s bike share network, with 500 bicycles, and 50 stations. It is set to launch in 2014. San Francisco’s program began last year. The program in Washington DC seems to be the best run. 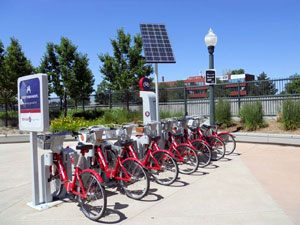 Other cities with bike ride sharing programs are: Denver, Minneapolis, Paris, New York, London, Boston, Chicago, Montreal, and Miami. 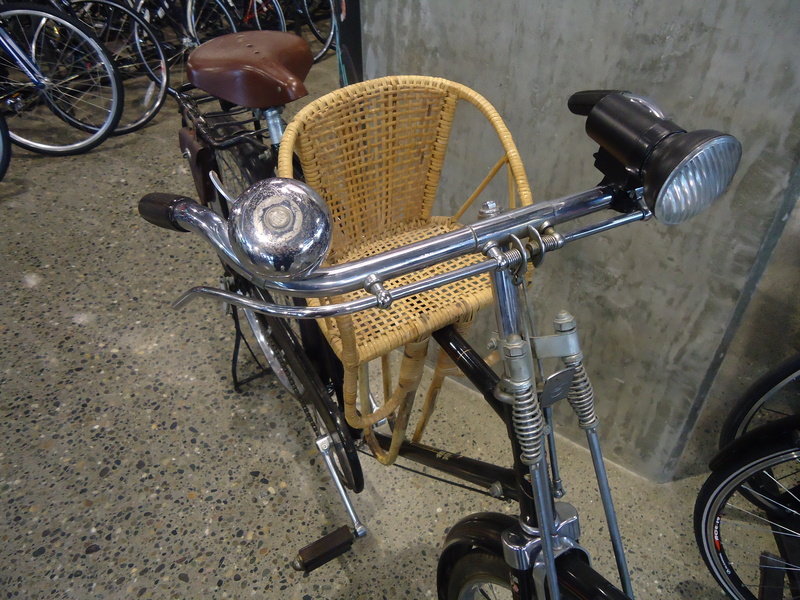 I am sure the day is coming when people will “rent” their own personal bicycle out to someone for a fee. Many of the area hotels offer free bicycles to their guests. Public transportation is excellent in the downtown high density zone. But like San Francisco, parking is expensive. And gas stations are practically non-existent. Once you get away from the hilly downtown areas, Seattle flattens nicely for the most part. The Bicycle Master Plan (BMP) was adopted back in 2007, and provides for building a 450 mile bikeway network. They also strive to reduce bicycle collisions by one-third by 2017. While we are at it, how about some bicycle etiquette? Show courtesy to other trail users at all times. Use the right side of the trail except when otherwise designated. Always pass on the left. Respect the rights of property owners. Keep dogs on leash (maximum length 8 feet) and remove pet feces from trail. Municipal Code 11.44.120, County Code and State Code. You are responsible for the safe operation of your vehicle under City, County, and State Codes. Give audible warning when passing pedestrians or other bicyclists. Ride at a safe speed. Slow down and form a single file in congested conditions, reduced visibility, and other hazardous conditions. I would add: use hand signals for turning and stopping. Stay to the right side of the trail except when otherwise designated. I can say this without being racist, why do Asians have so much trouble with this concept? Watch for other trail users. Be especially alert when running. Listen for audible signals and allow faster trail users (runners and bicyclists) to pass safely. Unlike California, there is a helmet law, requiring all cyclists to wear a helmet, regardless of age (since 2003). An average of three cyclists are killed each year in King County, with 45 cyclists who were severely injured. San Francisco seems to have a similar bicycle accident profile and frequency. The big picture is, of course, that cycling and commuting to work, as well as exercise options have changed over the years. Cycling has less impact on the joints and feet. A longer distance can be covered in the same amount of time as walking or running. Keep this in mind next time you get in your car.